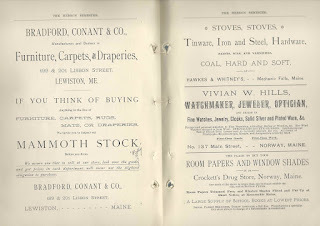 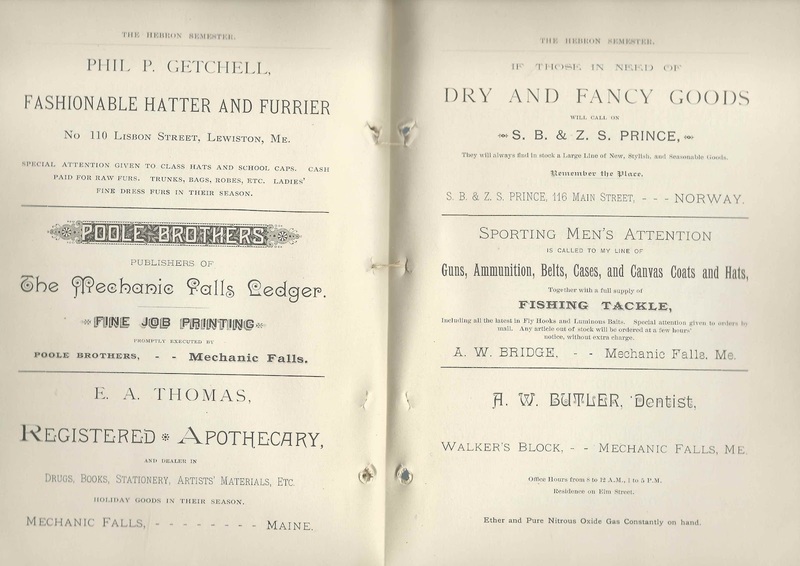 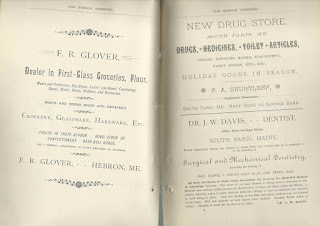 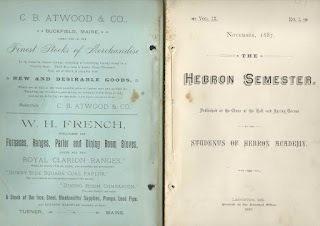 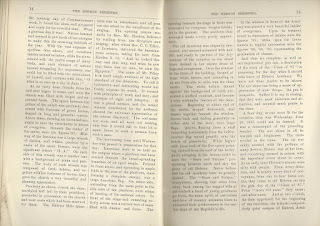 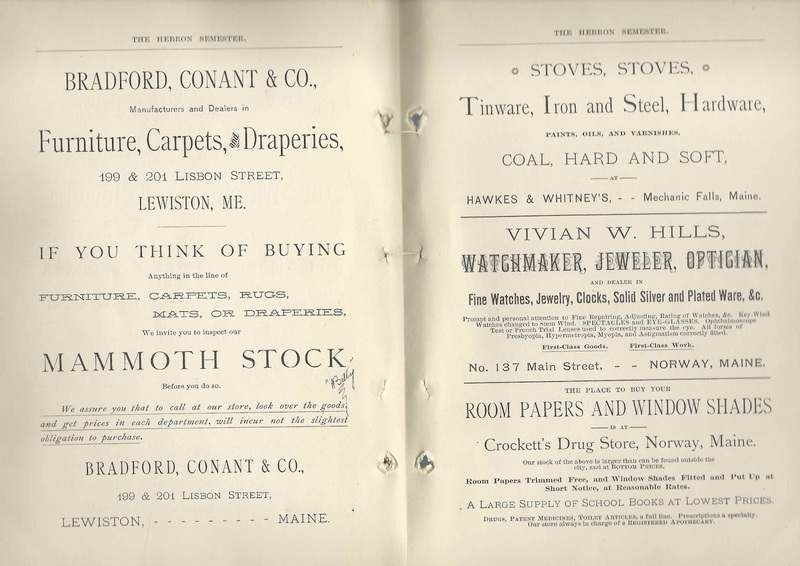 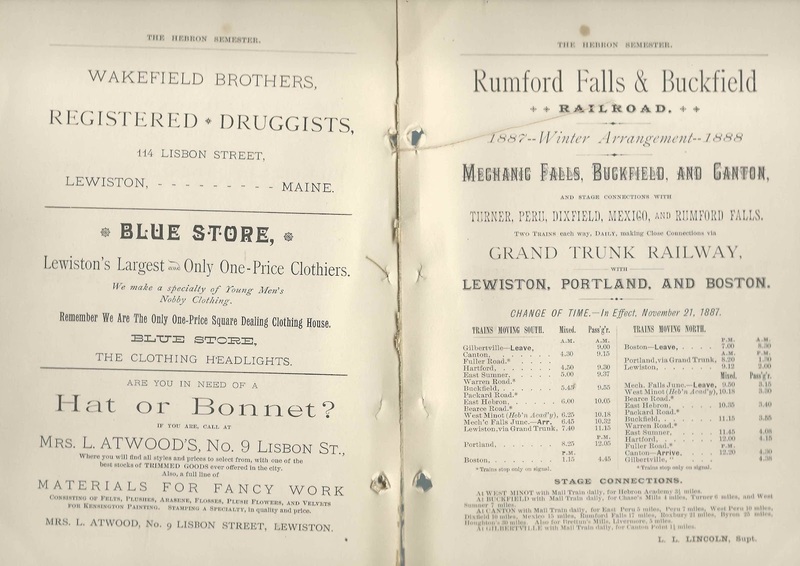 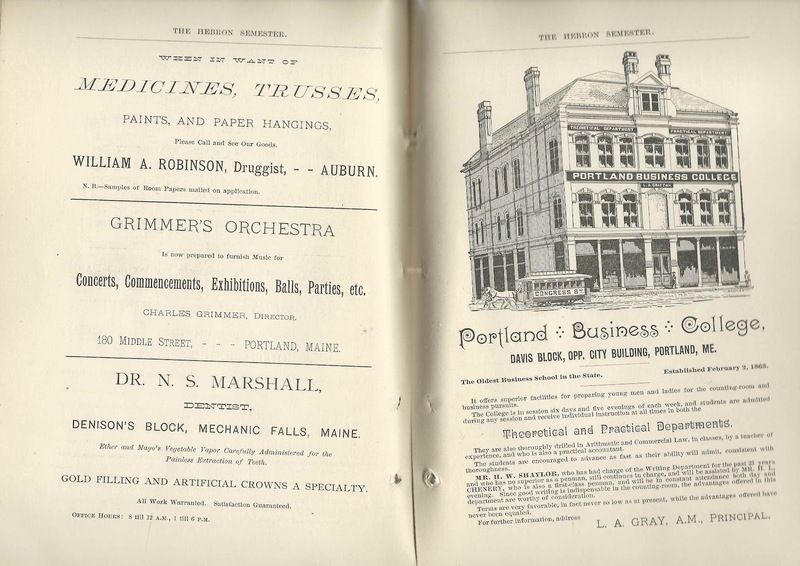 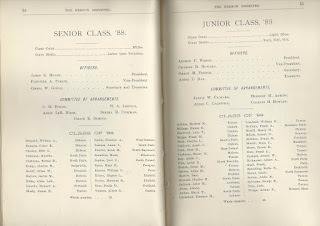 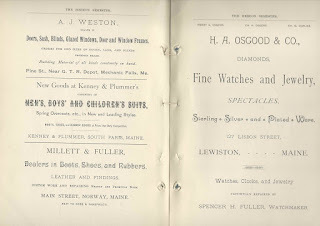 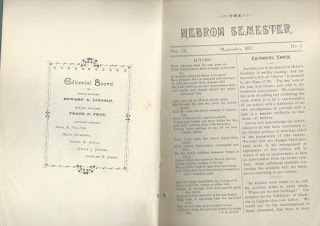 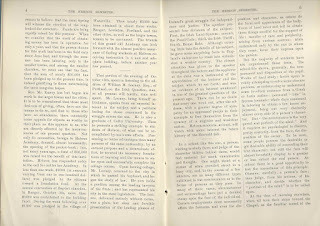 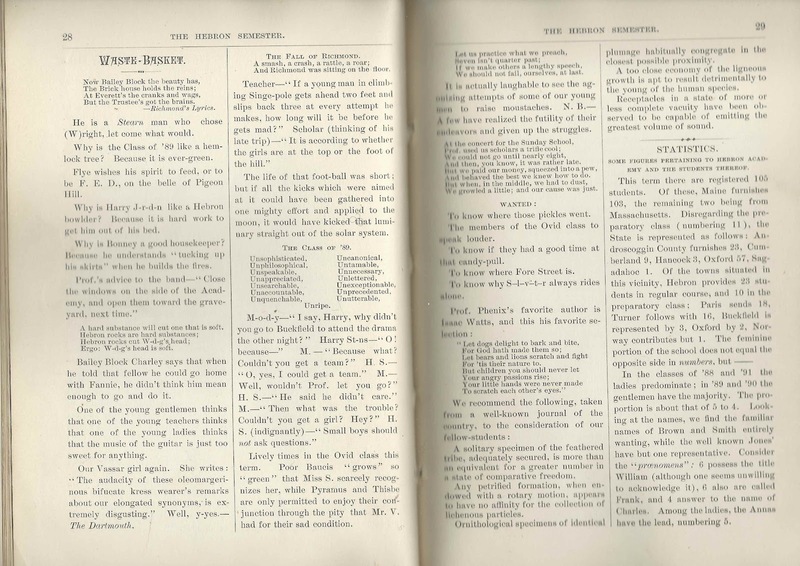 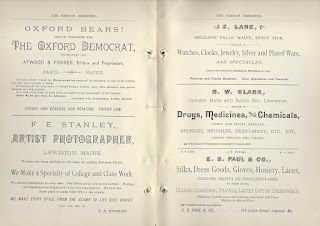 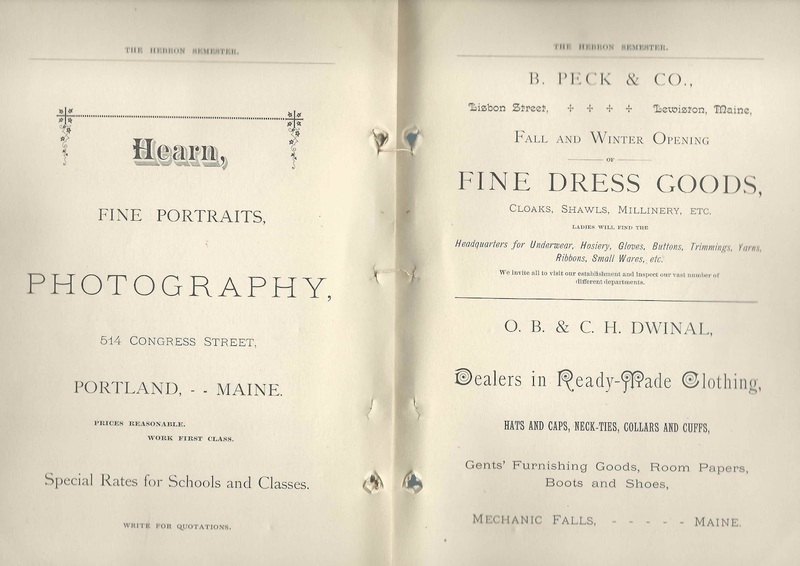 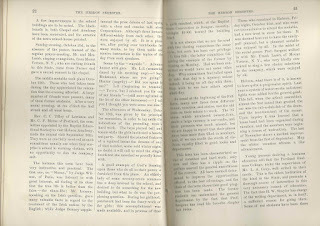 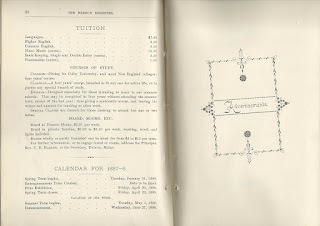 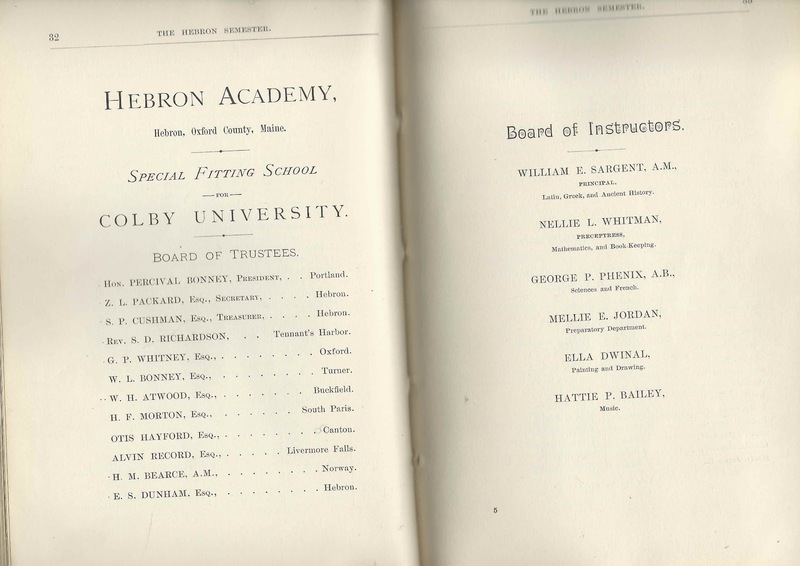 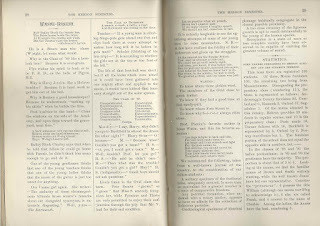 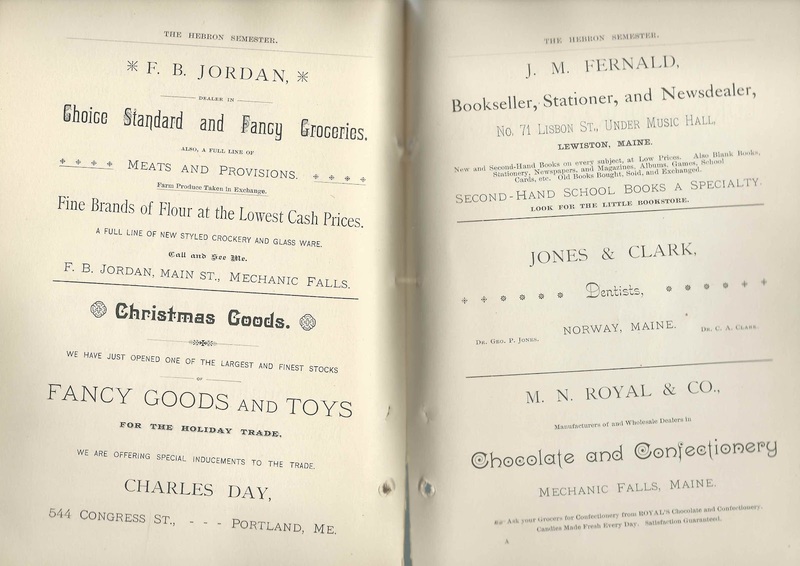 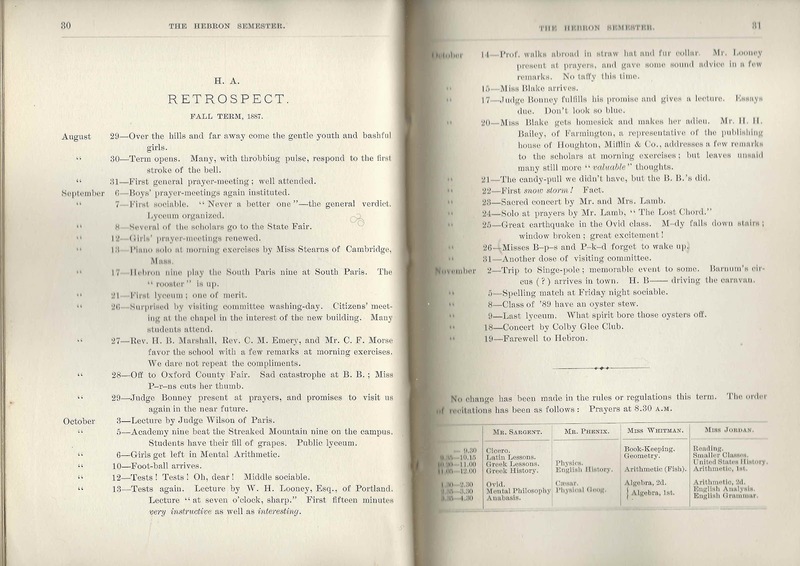 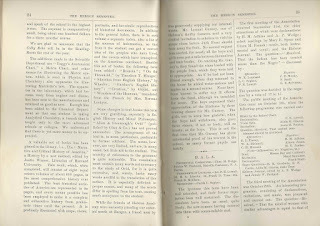 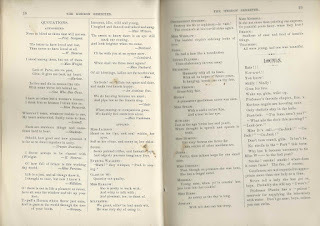 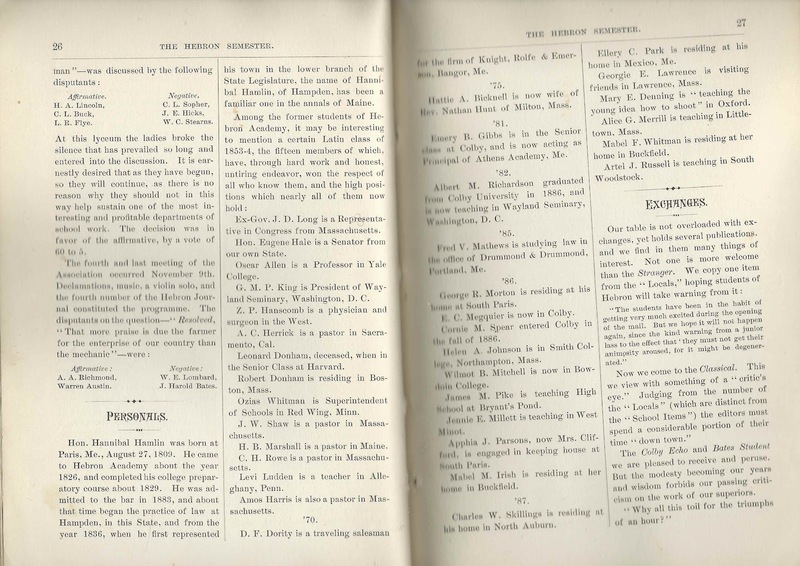 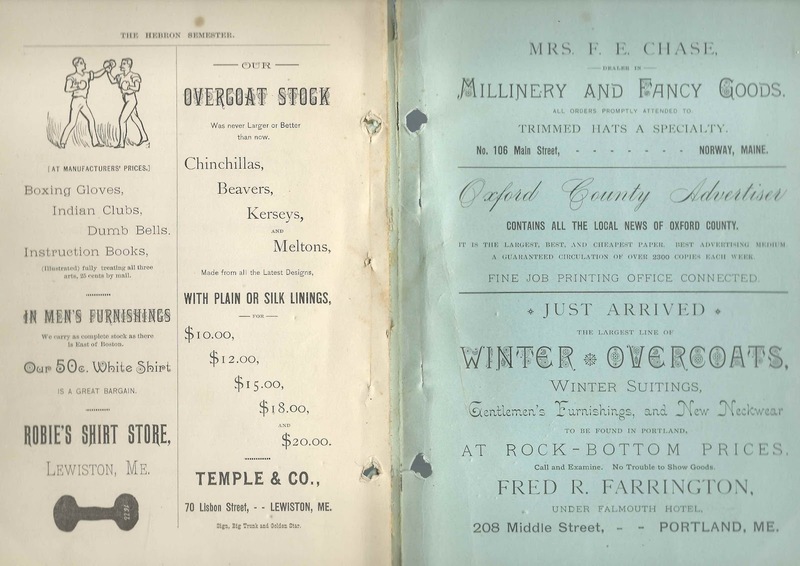 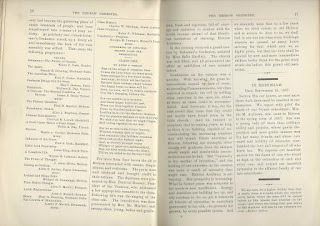 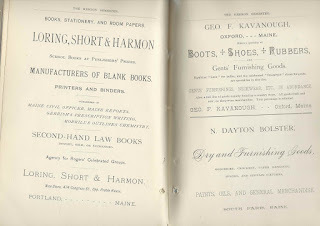 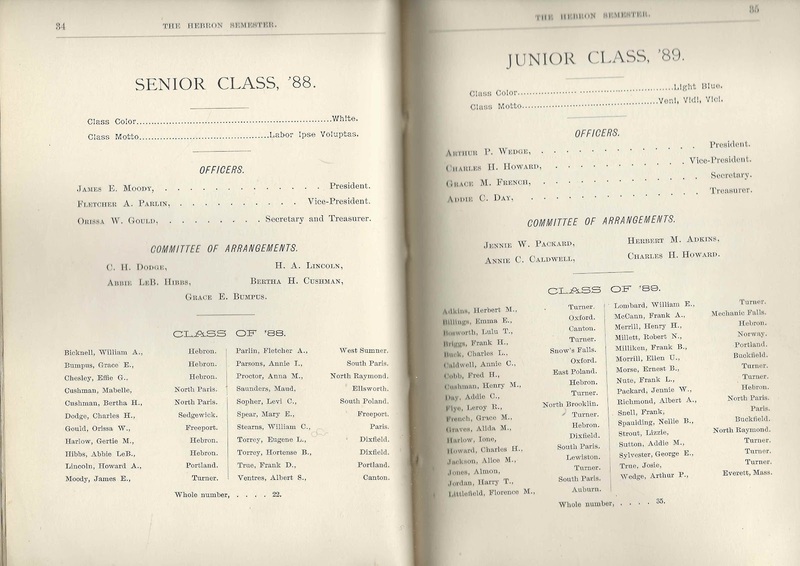 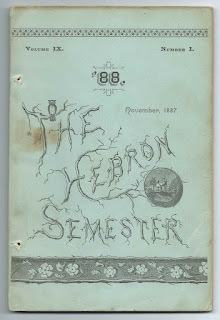 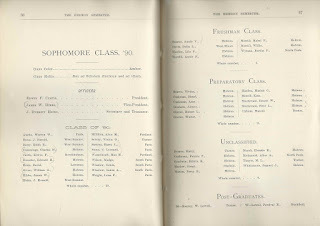 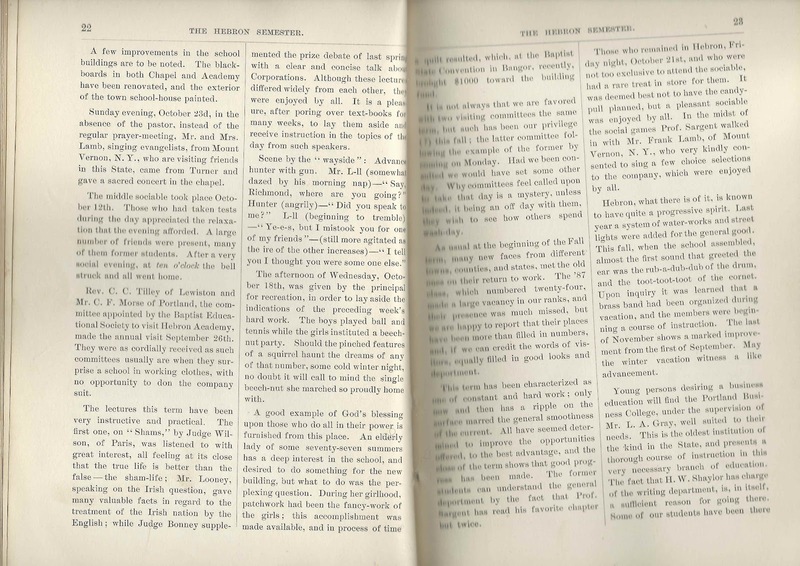 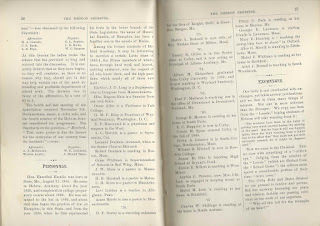 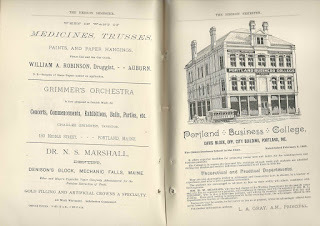 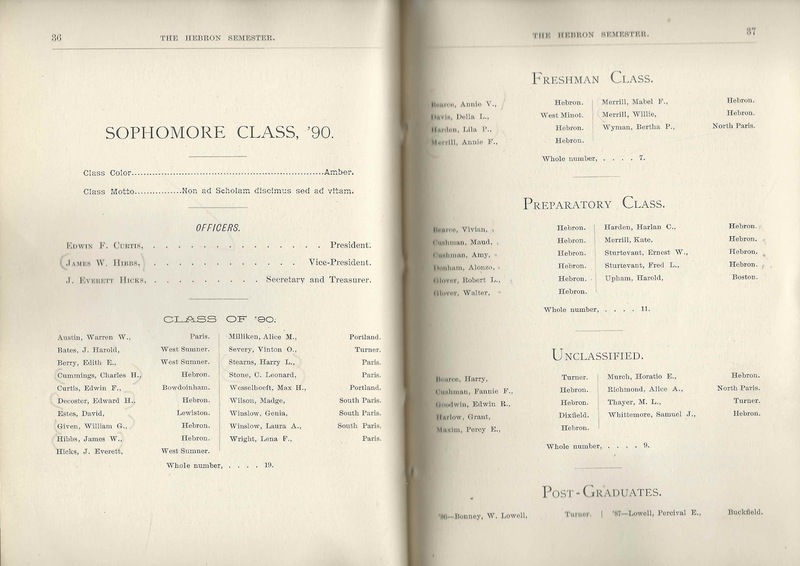 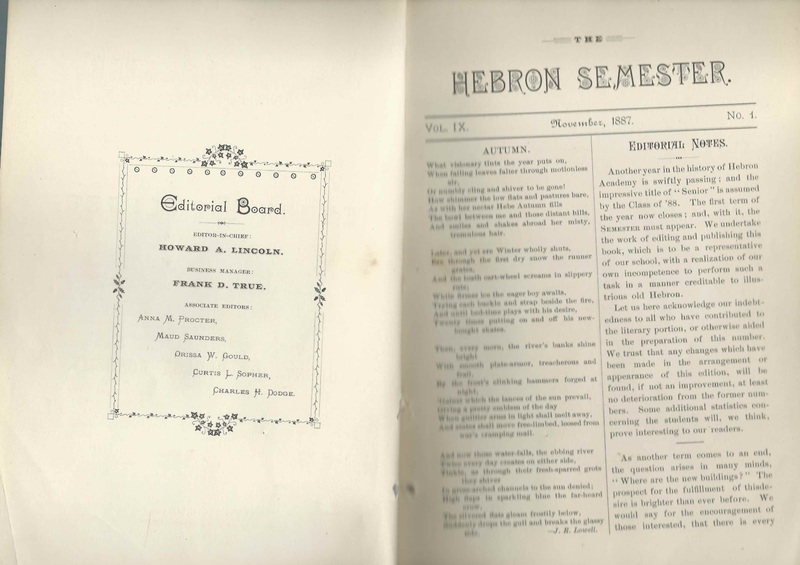 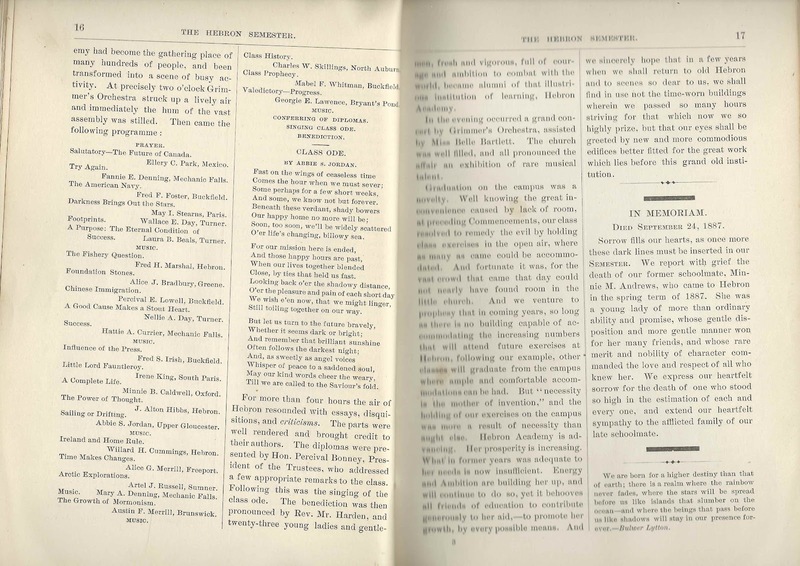 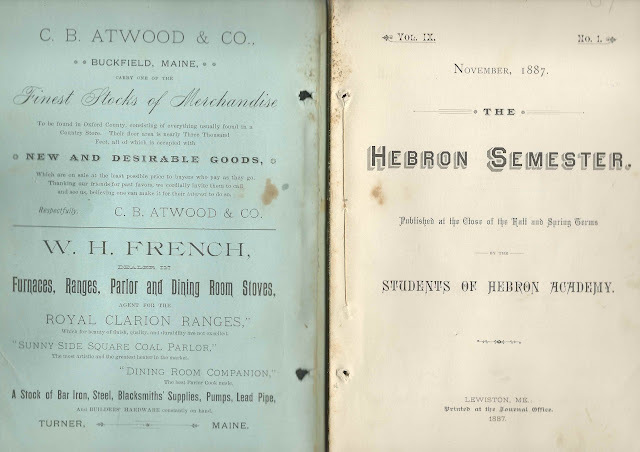 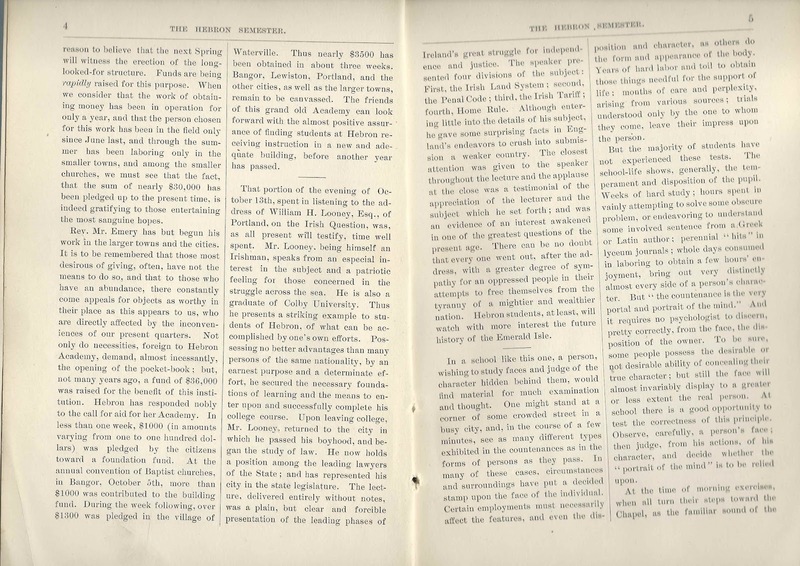 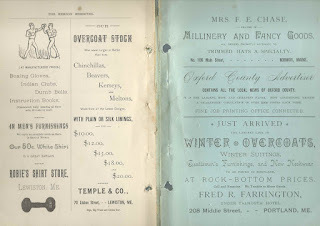 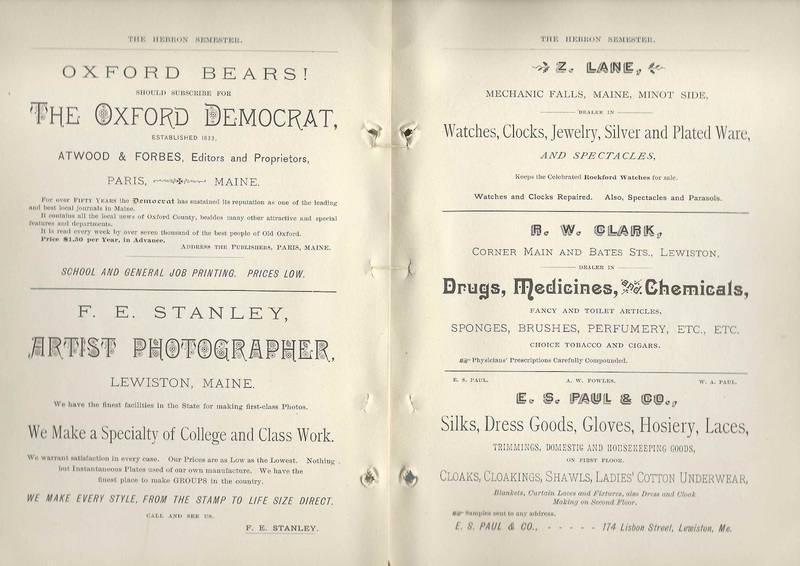 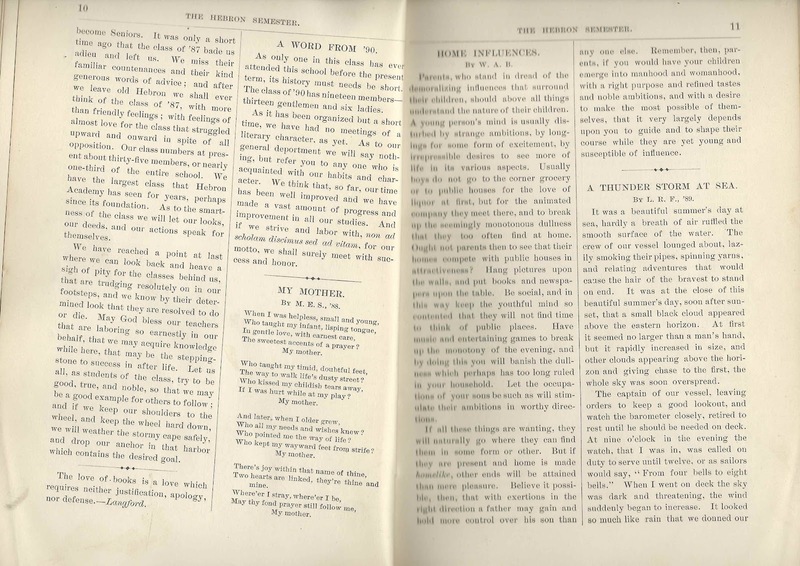 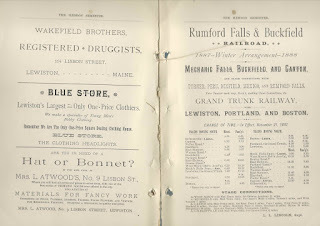 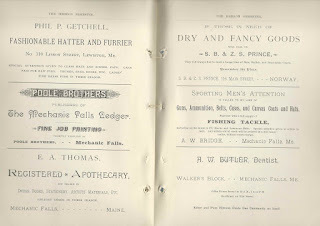 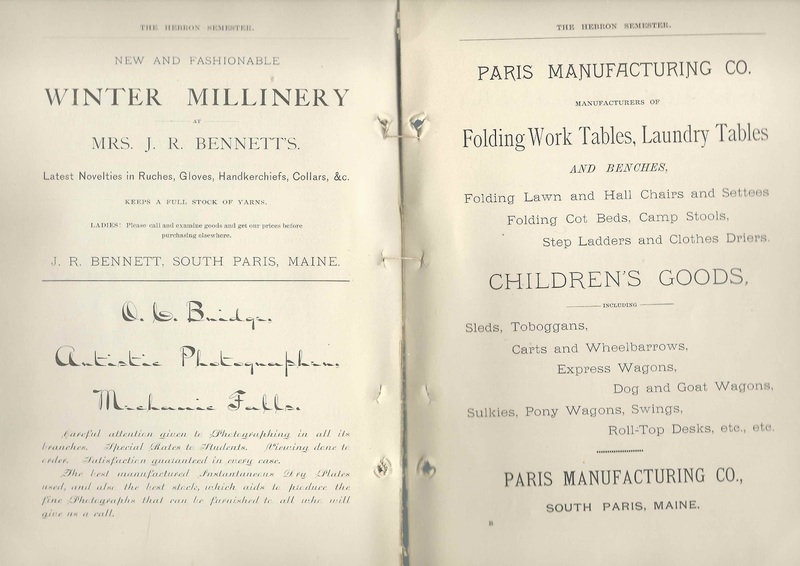 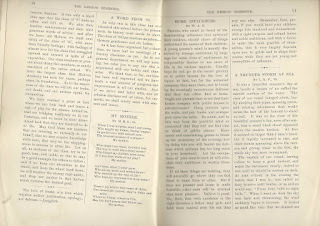 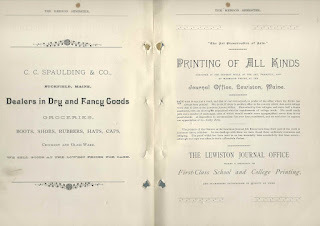 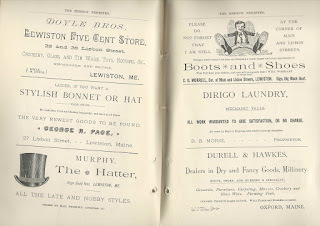 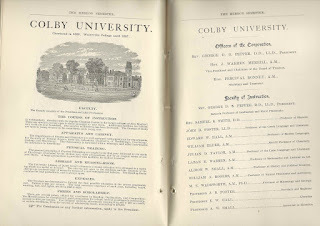 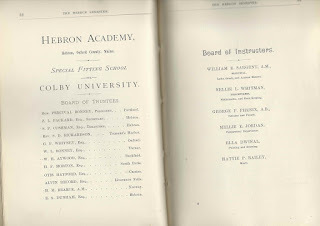 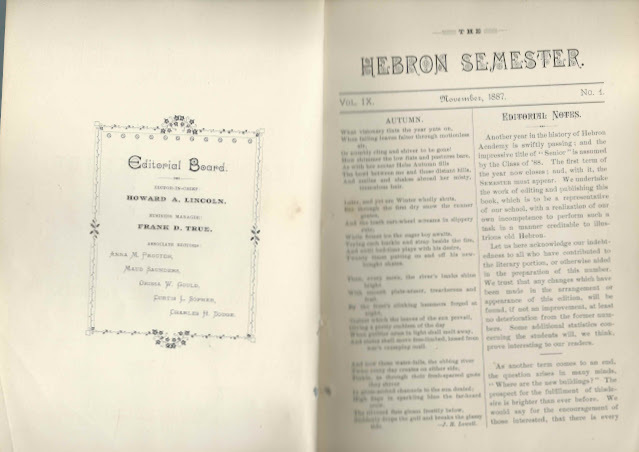 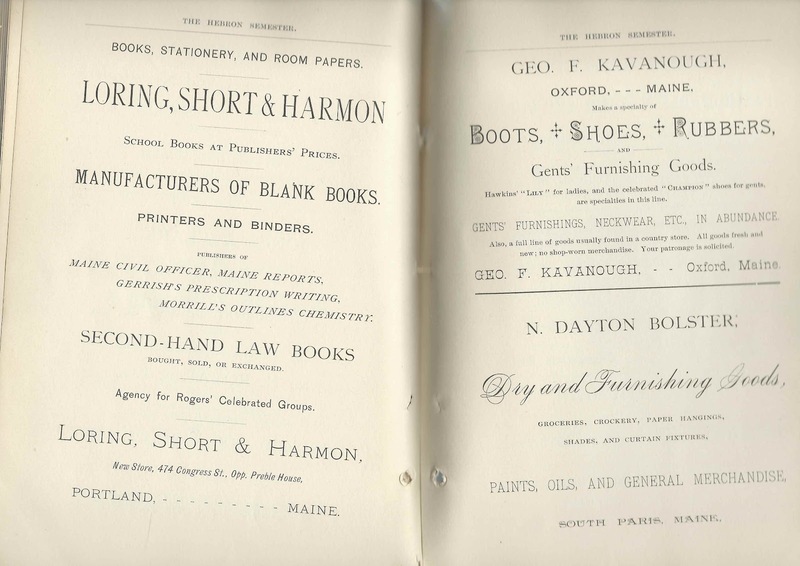 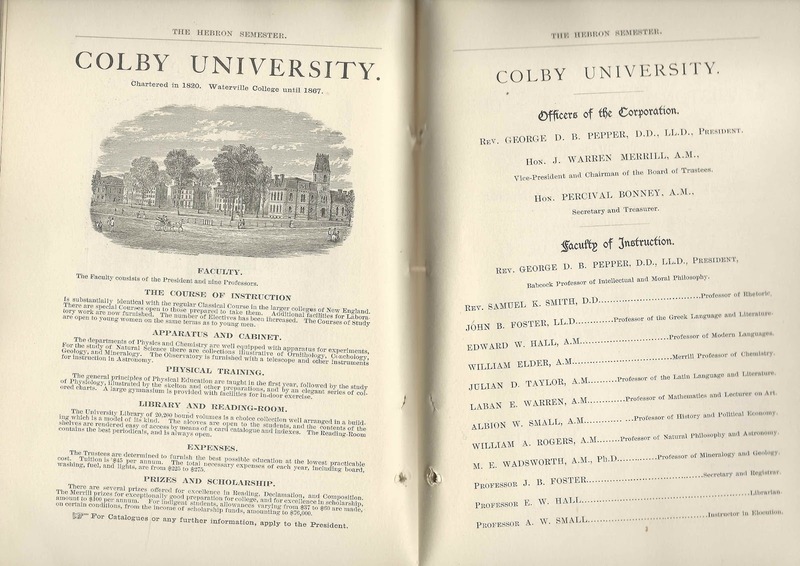 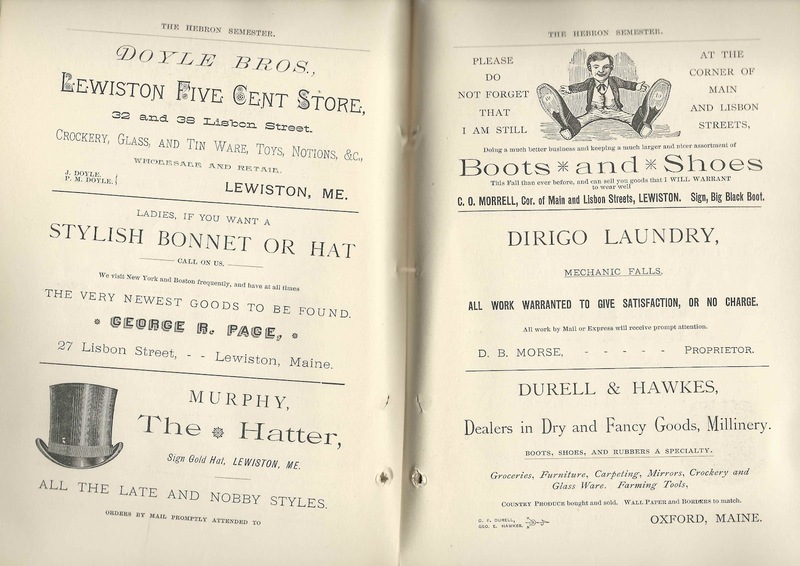 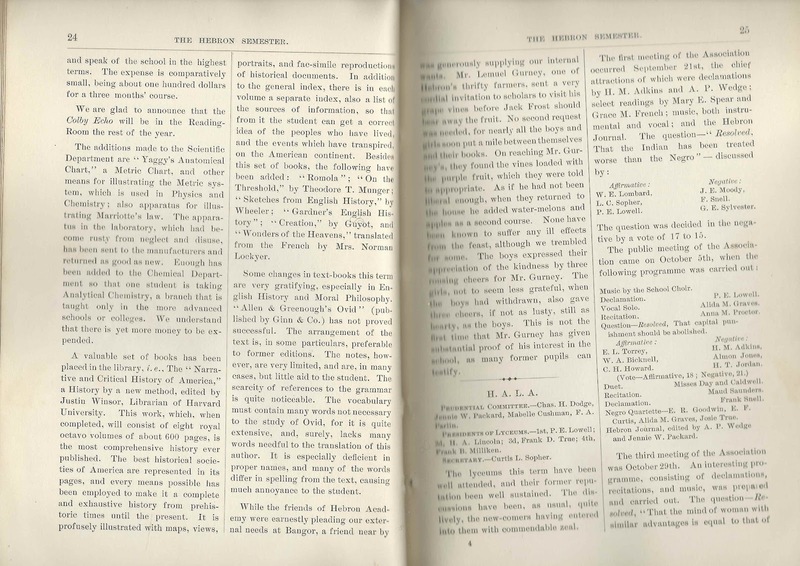 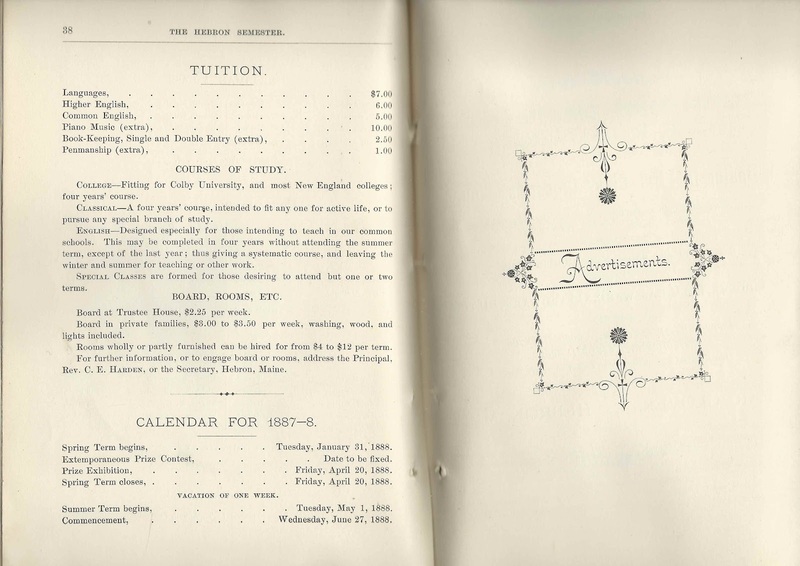 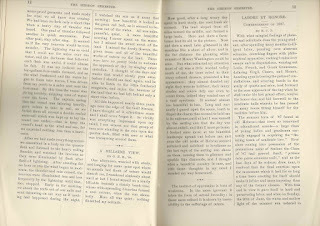 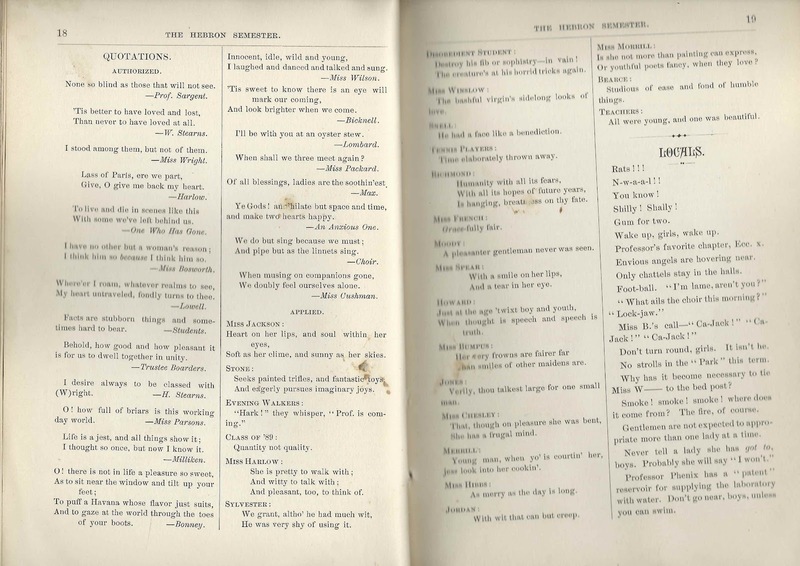 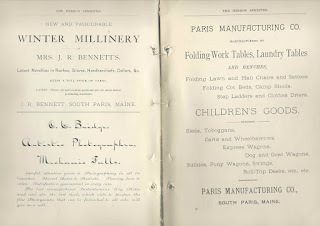 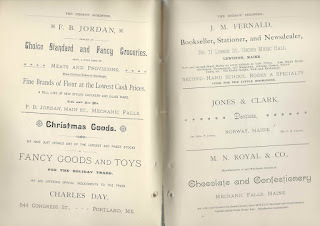 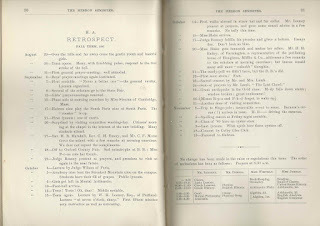 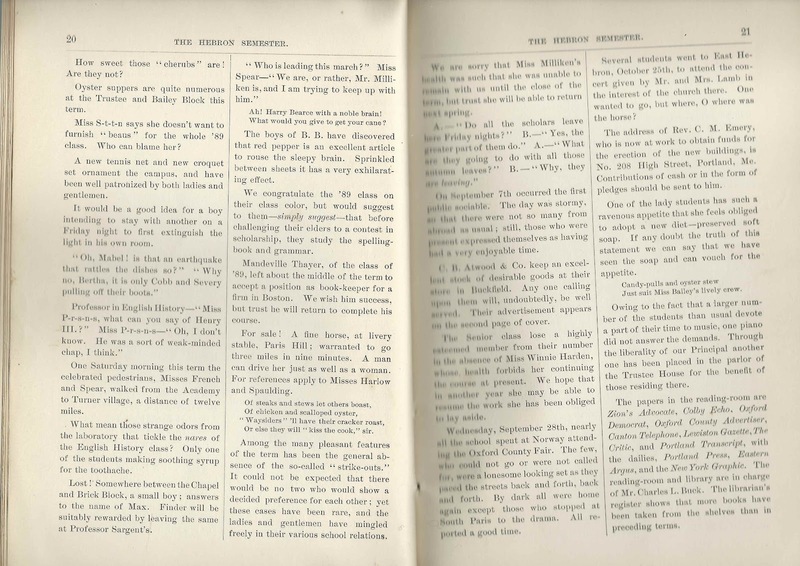 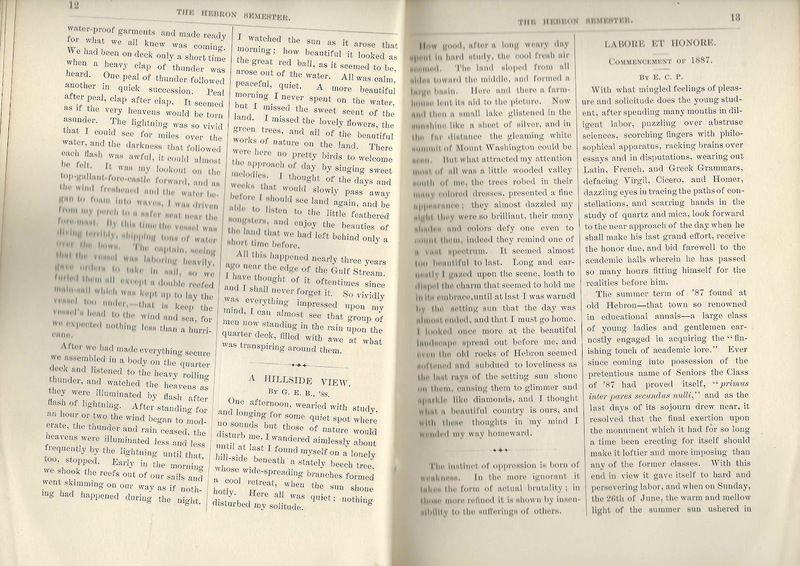 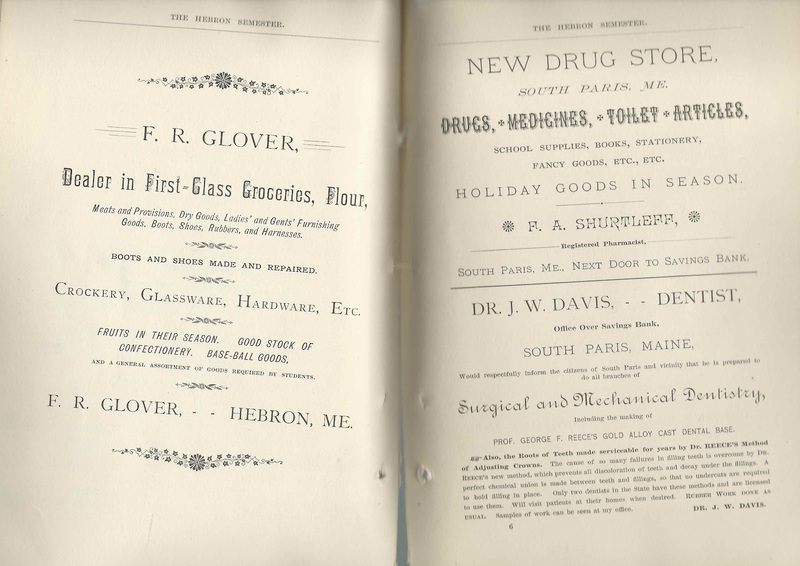 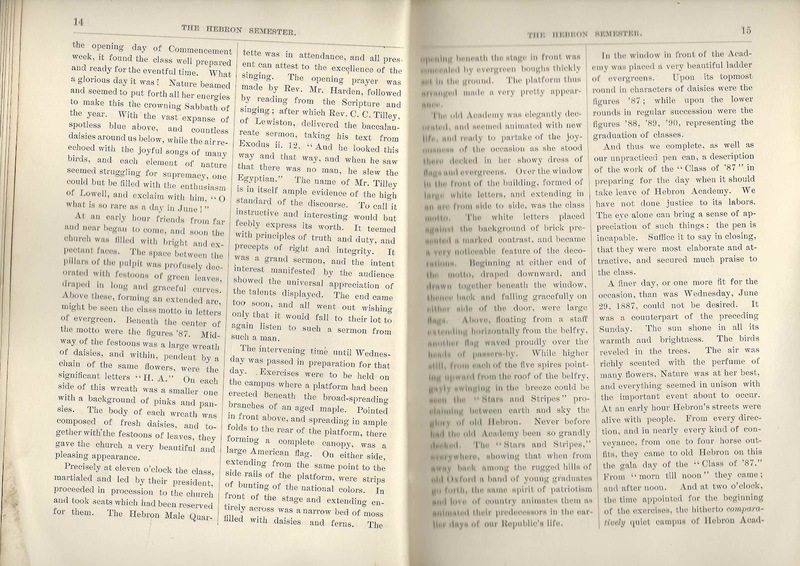 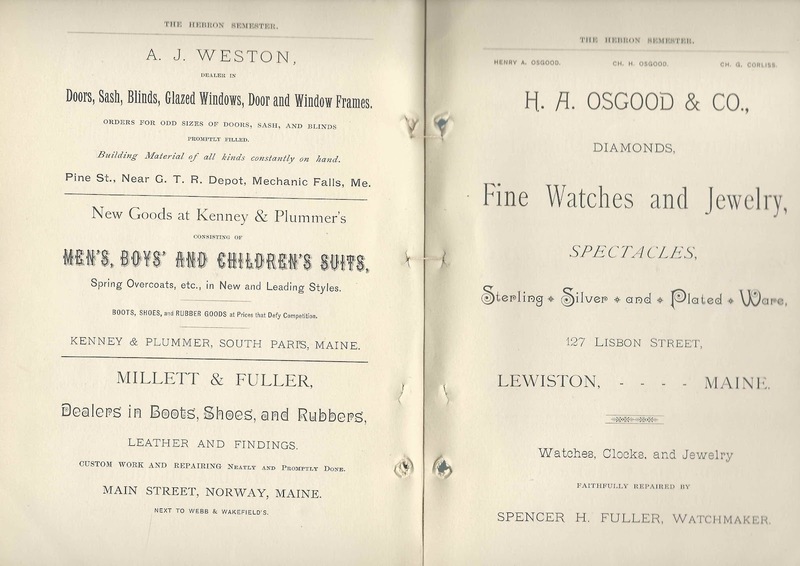 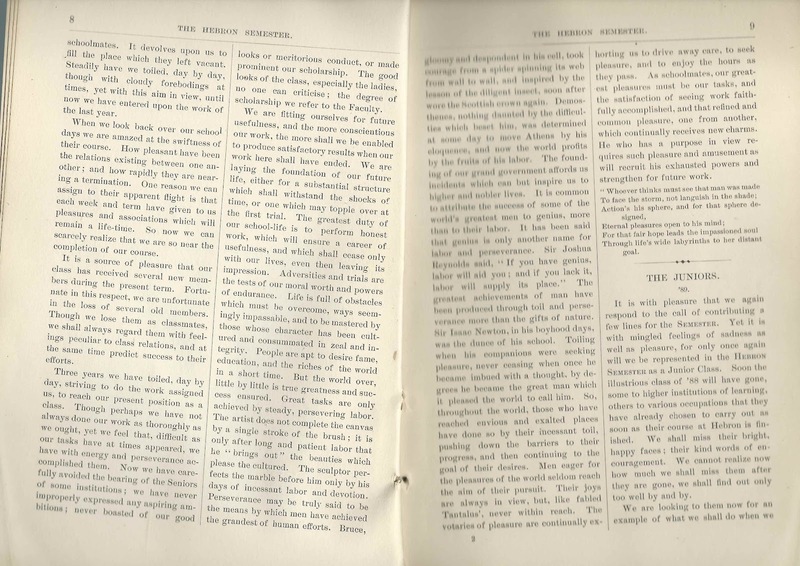 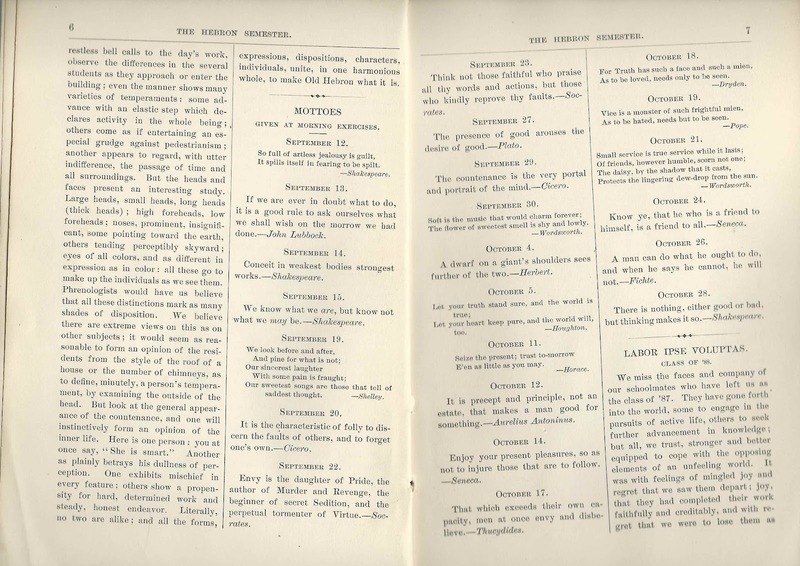 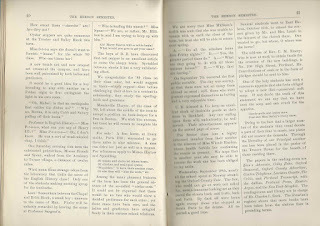 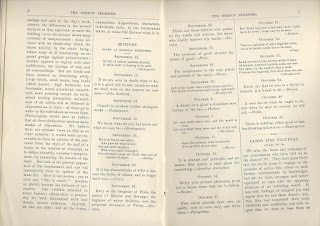 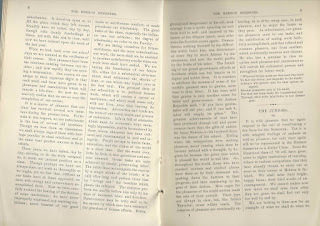 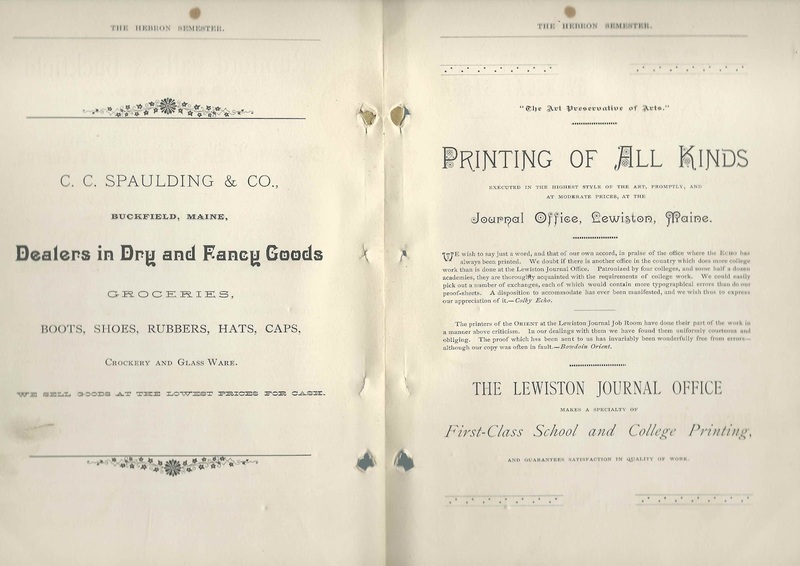 April 1887 issue of The Hebron Semester, a student publication of Hebron Academy at Hebron, Maine. 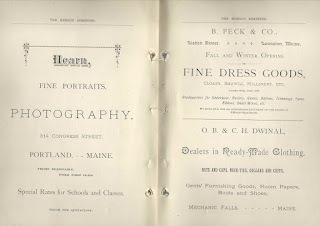 This copy belonged to former student Edith Lulu Packard of Hebron, Maine, who added a few notations throughout. 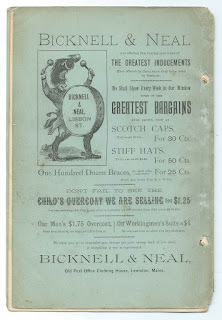 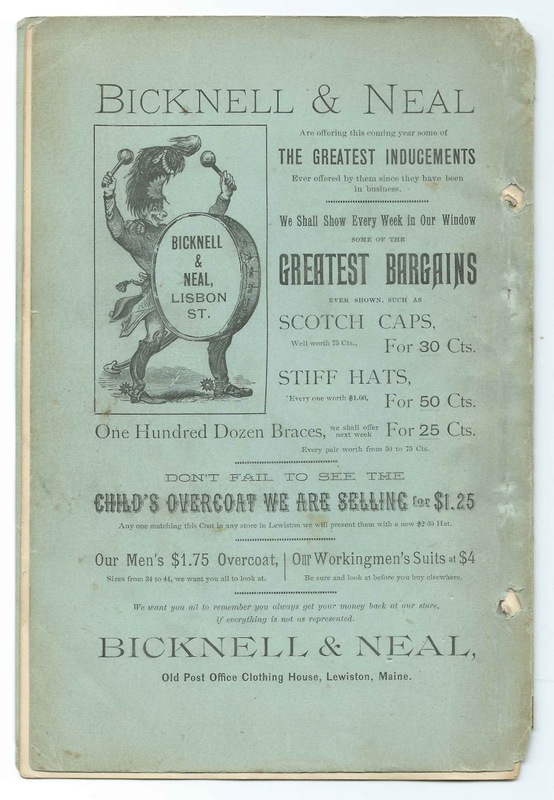 This issue measures approximately 9-1/4" by 6-1/4" and contains 38 numbered pages, plus 29 pages of advertising and advertisements on the inside front cover and inside back cover and back cover.